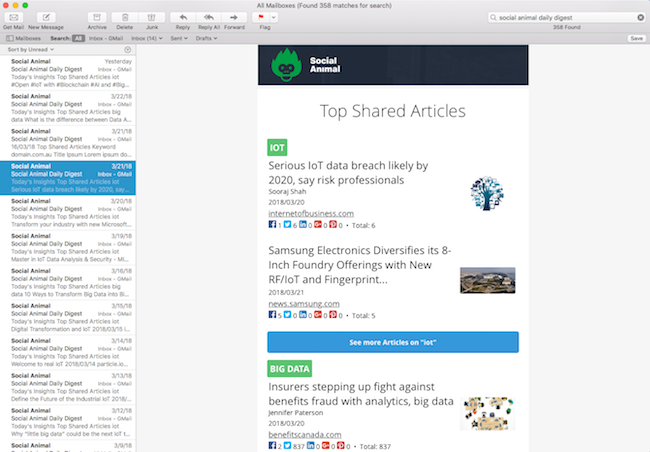 Social Animal is the swiss army knife of content marketing. 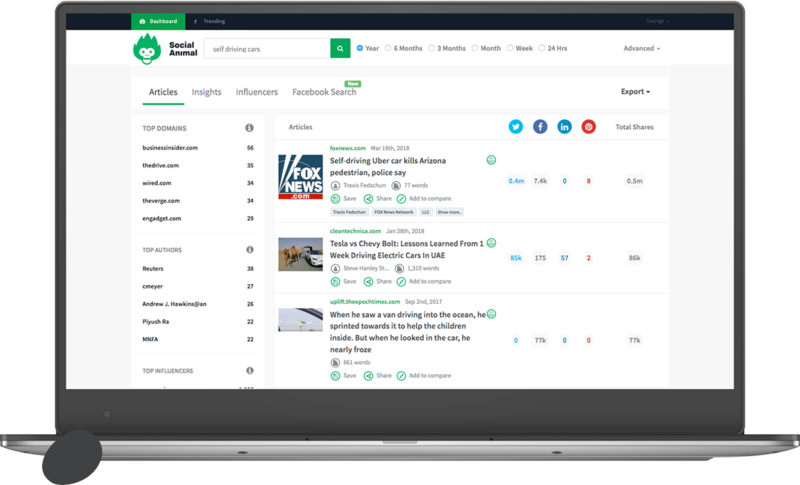 Find and analyze top performing content for any topic or competitor. 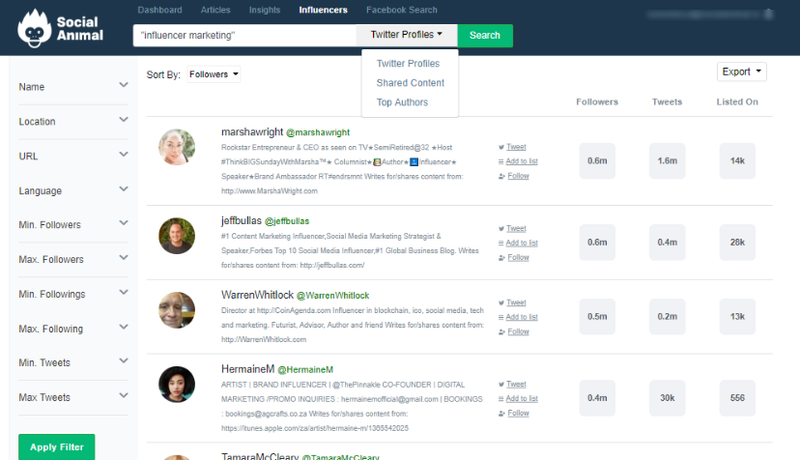 Find influencers who can amplify your content's reach. You’ve seen nothing like Social Animal’s Deep Insights before. For any keyword, see detailed analysis of how content performs once published. You’re taking advantage of analysis of a full year’s worth of content for any given keyword. Manually search and find content for any keyword sorted by popularity or setup keywords you care about and we’ll send you top performing content for your keywords in the last 24-hours right to your inbox. Our Influencer Search algorithm will find you real and relevant influencers for keywords you care about. Top authors are included, too. You can also see articles they authored or influenced sharing of. 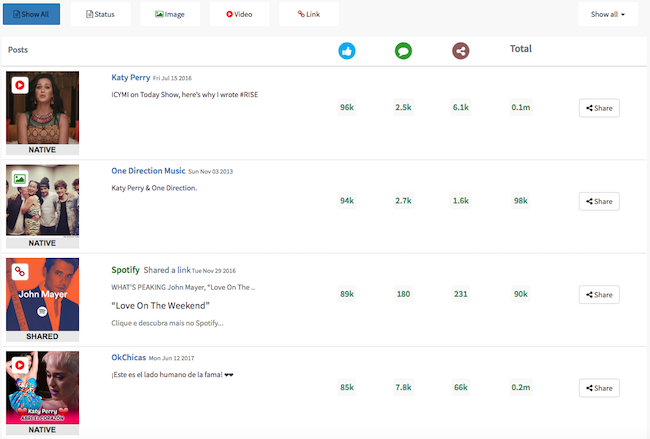 Search across millions of pages and billions of posts on the most used social media platform. 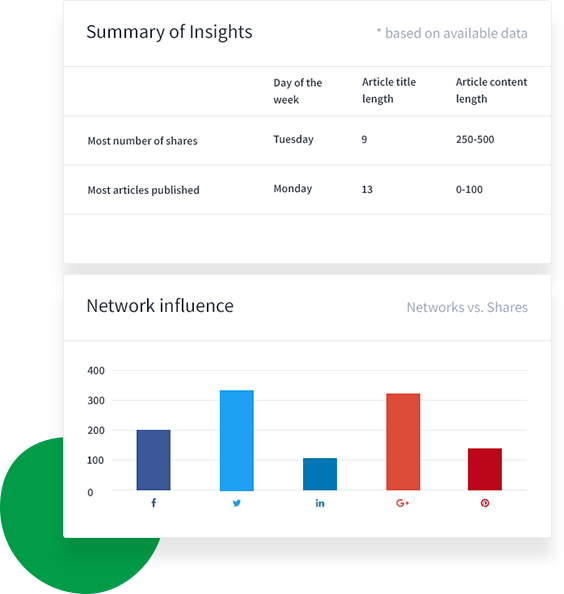 Track your performance and learn more about your target audience with engagement graphs. Know what kind of content to post and the perfect time to post it. Keep a tab on those pesky competitors. If they get a worthy mention anywhere, you get notified straight in your inbox.